The Fuller Center for Housing’s latest case statement has been updated with a new look for easier printing so that you can either learn about the basic, grass-roots principles that make this ministry so effective or so you can share those insights with others who may not be so familiar with our work across the United States and around the world. It includes the latest numbers on volunteer hours and how financial gifts are being put to use in the field. 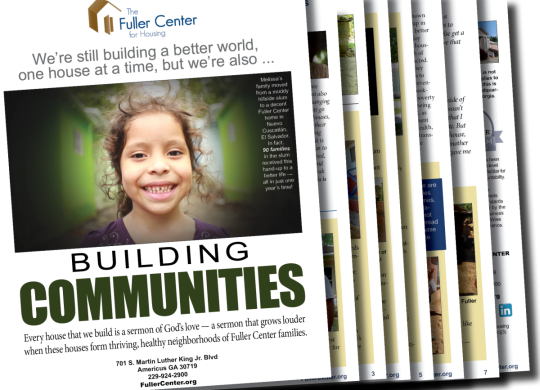 Throughout the 8-page document, you’ll also find profiles of several Fuller Center communities.